Is CNN Guilty of Material Support of Terrorism? Could a reporter and/or media organization which intentionally provides a terrorist or terrorist organization air time to promote the terrorist’s agenda be charged as in violation of Title 18 of U.S. Code, Section 2339A, Material Support to Terrorists? Mainstream media attacking those who speak truth about the threat of Islam in the United States is not new, nor is the media’s support for the terrorist group Hamas doing business as the Council on American Islamic Relations (CAIR). However, when the media runs lengthy propaganda pieces for Hamas, regurgitating their talking points, while at the same time attacking officials who are sworn to defend U.S. citizens, do these actions constitute providing our enemies with material support in their war against the United States? 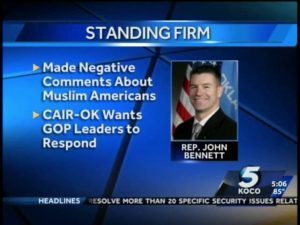 Last week CNN ran stories about Oklahoma State Representative John Bennett related to the “Muslim Day” at the Oklahoma State House. Why, you might ask, was there a “Muslim Day” at the Oklahoma State House? Because Hamas (dba CAIR) hosted one and no one stopped them. 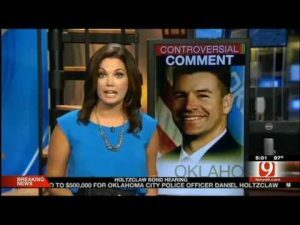 In the CNN story, CNN correspondent Sara Ganim supports and defends Oklahoma’s Hamas leader Adam Soltani who slanders and defames state legislator John Bennett, and Ganim also defended Hamas doing business as the Council on American Islamic Relations (CAIR). See the 3 minute video HERE. At no point did Ms. Ganim identify CAIR as a “member of the U.S. Muslim Brotherhood’s Palestine Committee” which is Hamas in the United States, as the U.S. Department of Justice has per the evidence in the largest terrorism financing and Hamas trial ever successfully prosecuted in American history (US v Holy Land Foundation for Relief and Development (HLF), Dallas 2008). Nor did Ms. Ganim or CNN reveal that numerous CAIR leaders have been convicted of terrorism charges and incarcerated or deported. Neither Ms. Ganim nor CNN revealed Hamas is an inherent part of the Muslim Brotherhood whose stated objective is to wage “civilization jihad” to overthrow our government through all means necessary including violence until sharia becomes the law of the land. When CNN quoted Representative John Bennett’s questions he posed to Muslims at his office, it is evident neither Ms. Ganim nor CNN did any research – the point of Mr. Bennett’s exercise – to determine the truth of the matters regarding Islamic doctrine – sharia. 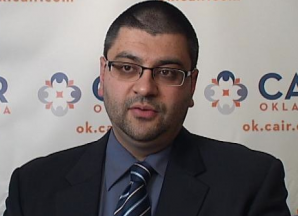 Ms. Ganim and CNN dutifully gave Hamas, a designated terrorist organization and its leader in Oklahoma, Adam Soltani, air time on national television, thus providing propaganda for terrorists while slandering an American hero and elected member of the Oklahoma state house. 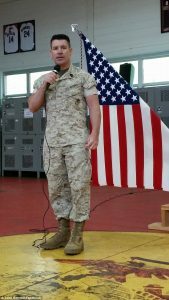 It should be noted CNN also did not mention Representative John Bennett is a Marine and combat veteran who serves his nation honorably. Mr. Bennett speaks about this incident in a radio interview which can be heard HERE. The Oklahoma media, for the most part, jumps on the bandwagon on these matters. Last week, when UTT traveled to Louisiana to train law enforcement officers and first responders, numerous media outlets, including the Associated Press, defended Hamas (dba CAIR) and tried to diminish the work of UTT with ad hominem attacks without ever discussing the facts of the matter. In fact, CAIR is neither. CAIR is a terrorist organization because it is a Hamas organization. Are we to believe that 15 years after 9/11 all the reporters, producers, editors, and others with CNN, the Associated Press, and many other mainstream media organizations are simple so stupid they cannot review evidence and facts that clearly identifies CAIR as a Hamas entity? Are these media organizations providing material support to Hamas (CAIR) because they ideologically agree with them? In either case, there appears to be direct support for terrorists by these media organizations and their reporters, and UTT is hopeful the Department of Justice will respond accordingly. When and how can we get Muslim Brotherhood designated a terrorist organization? That would separate the sheep from the goats. But that probably would not convince CNN. Next step: get CNN designated a terrorist organization! Any CNN reporter who consciously provides airtime to a sharia-adherent individual claiming to represent the Muslim Brotherhood (an unindicted terrorist organization) would probably resort if challenged to the ruse German defendants charged with war crimes used during the Nuremburg trials (Hitler made me do it); “Hitler” being contextually Time Warner, the multinational media giant which owns CNN, and which last June turned down an 80 billion dollar takeover offer by Rupert Murdoch, mega-rich owner of Fox. Time Warner of course, would respond to any associated abetment accusation by asserting that “one man’s terrorist is another man’s freedom fighter”, thus the 1st amendment would come into play. The fact is, moral concepts of good and evil no longer hold in federal courts when the government; wealthy elitists; dynastic criminals; and (perhaps above all of the others) political partisans are involved. Consider, e.g.. Pinocchio’s take regarding the shenanigans of the RICO-redolent “Clinton Foundation”, and the recent decision of the renowned 9th circuit to kick metaphorical sand in the face of the law with respect to illegal immigration. Law school faculties which include “Ethics Professors” (an oxymoronic term, on stilts) must be encouraging them to moonlight masquerading as Bozo the clown, in order to eat & buy gas for their ride). Actually, discoursing with sharia-adherent lunatics on a TV screen is exactly what they want us to do, thus plays into their nefarious tactic of diversion For regardless of how an issue is framed, any possibility of convergence is out of the question. We know that! The immutable fact is, they came here not to integrate but to confiscate all we hold dear or kill us. And for us to continue at this late date to pretend that their obviously calculated charade of “ideological differences” may eventually end so that everybody can live happily ever after, is madness. Why not do what the president does; I.e. ignore the liars, but provide the people with the facts via regularly scheduled mass-media methods. There are pros and programmers who can set something up with no problem.